Sunrise on Christmas Eve, 2010. 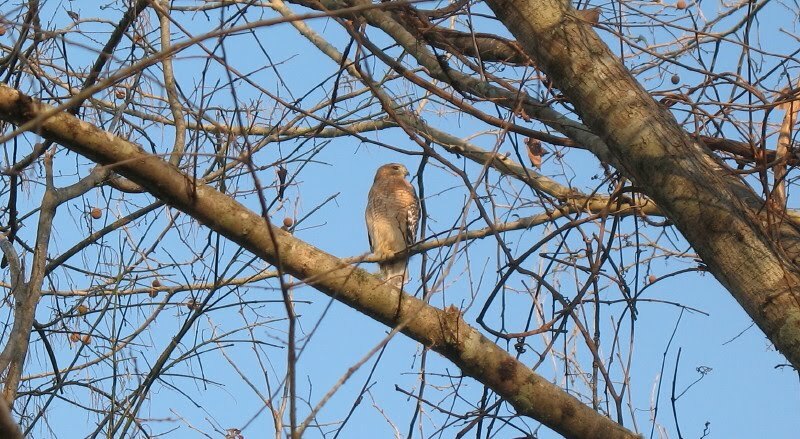 And a red-shouldered hawk in our backyard. 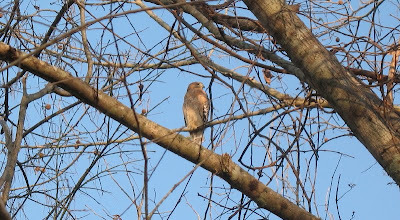 It was intently watching a fox squirrel. Perhaps that why I was able to get so close to it. Merry Christm as everybody! The river is at 4.4 feet on the Butte La Rose gauge, and holding at that for the next week or more. The Ohio and Mississippi are not showing much movement right now.